The Pearl PFA-206ESU Alto Flute is a reliable and affordable instrument ideal for intermediate players. 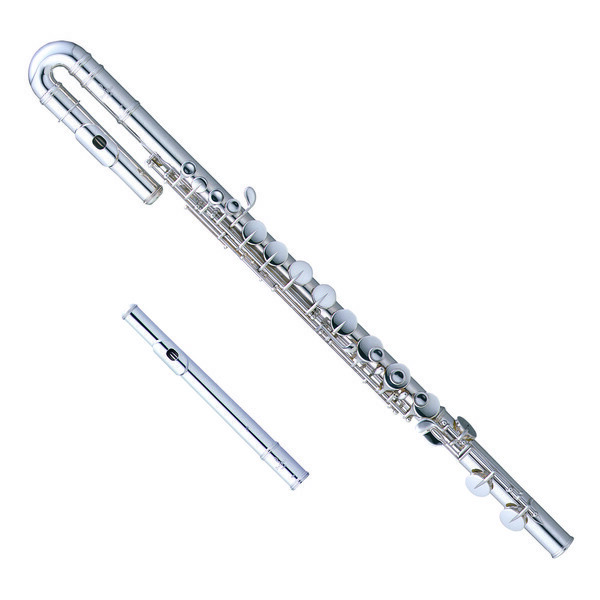 Featuring a Silver plated body with a choice of both curved and straight Sterling Silver headjoints, along with the ergonomic Split E mechanism for improved playability, this versatile and responsive flute is the perfect instrument for younger learners as they progress through the levels. The Sterling Silver headjoint is curved to accommodate smaller hands, allowing younger learners to access all keys easily. The PFA-206ESU also comes supplied with a straight headjoint for later progression, ensuring that the instrument will remain with the player as they grow.